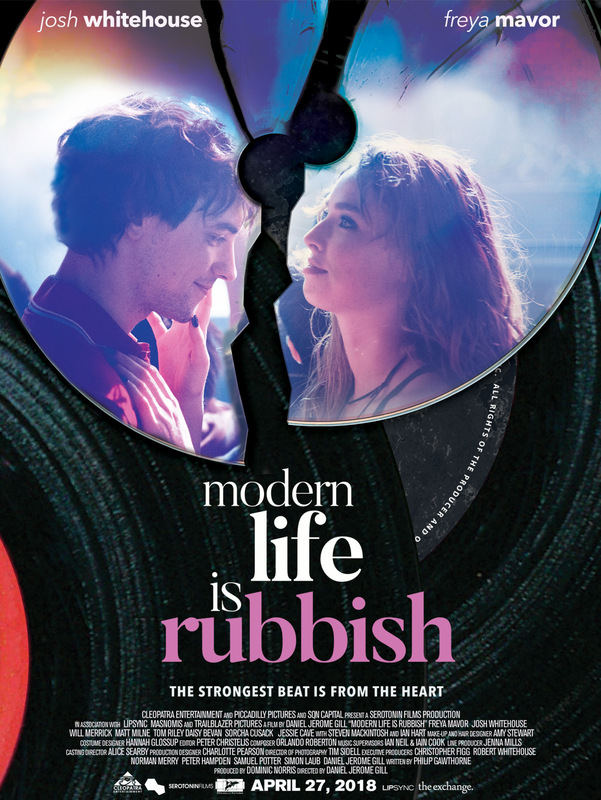 So begins the decade-long, roller-coaster romance between Londoners Liam (Josh Whitehouse) and Natalie (Freya Mayor) in Daniel Jerome Gill’s relationship drama Modern Life Is Rubbish. With his Harry Styles mop and crinkled leather jacket, Liam fits the part of a burgeoning indie rocker with a chip on his shoulder. He also embodies the film’s title (borrowed from Blur’s 1993 album) as an iPhone naysayer who’s practically allergic to technology and responsibility. Meanwhile, talented designer Natalie yearns to flex her own creative muscles, but is forced to ditch her dreams in order to pay the bills with a soul-killing desk job. After 10 years of supporting her live-in boyfriend — whose sad-boy persona isn’t so cute offstage — Natalie packs up their flat, dividing the records and CDs that brought them together. As the couple drifts apart, director Gill spotlights the halcyon days of their relationship through flashbacks, a la 500 Days of Summer. But when a new viral video becomes the tech-averse musician’s only hope of reuniting with his soul mate, Liam must choose: embrace change or flee. For those who delight in candy-coated nostalgia, writer Philip Gawthorne’s familiar, cliche-heavy script offers a twee jaunt down memory lane. For everyone else, even a killer Britpop soundtrack teamed with the leads’ palpable chemistry can’t save the film from over-trodden territory.